Students are coming back to town. It's easy to tell. I went to dinner a couple nights ago at Free State with a friend, and I swear, half the place was students and their parents. A few nights ago there was a fire on Tennessee Street (a stronghold for student housing) and students just mulled around waiting to see what was going on. It's the school year! Woo hoo! Except it's not for me. No reading assignments that were written by boring academics only to get excited when one — just one — was written by someone with some flare. No cramming for essay tests on theory, no answering my own questions for a class because a teacher refuses to answer them for me. None of that. Yippee! Anyway, the pedicures from last week were wonderful, and it was awesome to see Matt and Sarah. The demolition derby was super fun as well. I can't explain what it is I love about the derby — the crashing cars, the people-watching, the sheer amount of work these people put into the cars — no matter what it is, it's fun. It also ruins a new pedicure. Oh well. I met some really nice drivers and had a lot of fun writing the story, too. Before the derby, I made cupcakes for the next day when my Aunt Phyllis was in town. She doesn't live here, but she and my Aunt Betty were roadtripping to see my mom, so we all had dinner. I went with plain old (but super yummy) yellow-cupcakes-turned-funfetti with blue sprinkles (to match the wrappers). 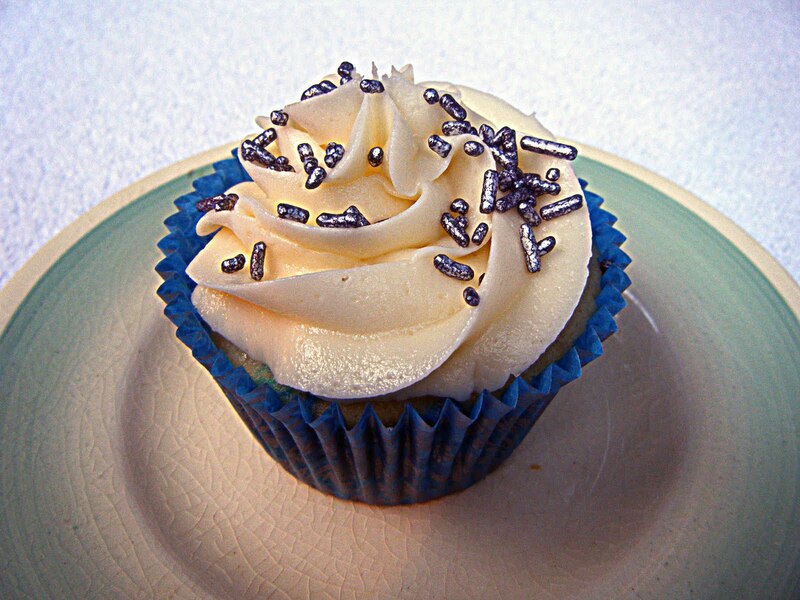 On top, plain old buttercream with silver shimmery sprinkles. Simple recipes but oh-so-yummy. Then last week, as I was rolling through my blog roll, I saw a recipe for cherry limeade bars, kind of like lemon bars. It's pretty hard to beat cherry limeade during the summer...especially a summer like this one. We're supposed to hit 102 today (! ), except we also hit 102 yesterday. Actually, this is our sixth day in August above 100 degrees (I know this because I wrote the story about it today). But isn't that ridiculous?! C'mon, Kansas. 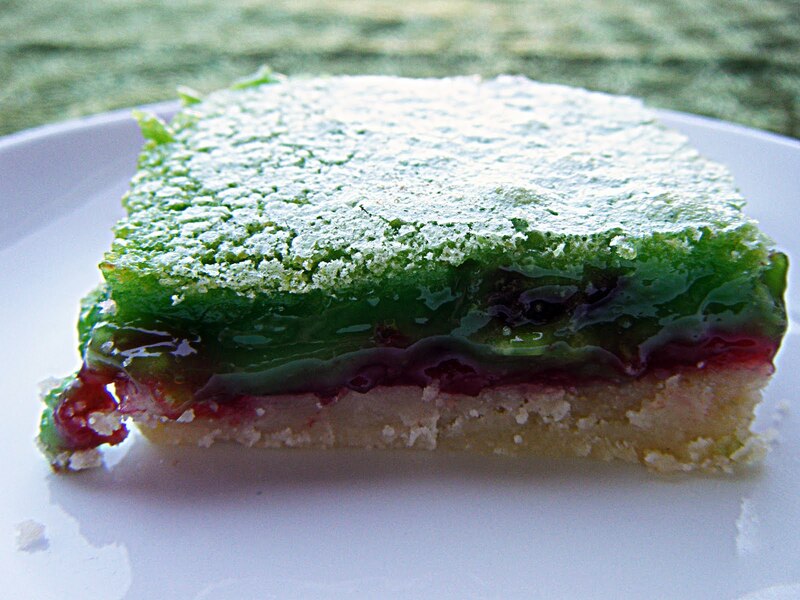 Anyway, these bars were super easy and colorful, definitely a fun dessert. 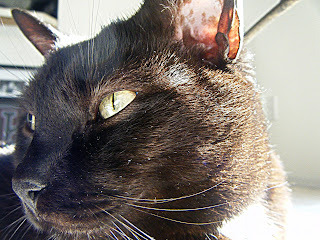 And then, as I was continuing through that blogroll, I saw an article about Julia Child. I have "Mastering the Art of French Cooking," something I couldn't resist buying after seeing "Julie and Julia." I've been itching to make bouef bourguignon, but once again, it's a little hot. That, and I have to figure out how to get around the fact that I don't eat bacon, and it starts with a big, juicy chunk of it. Anyway, turns out August 15 would have been Julia's 98th birthday. 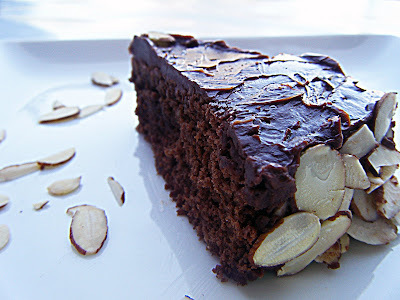 What better reason to make something else I've been wanting to try — her chocolate almond cake? So I did. I don't even like chocolate cake, but I had to try it. This, or something like it, is what Julie Powell's husband eats with his hands in the movie. And really, it was that good. It was very intricate, and for someone who often doesn't read the directions closely, this could have been a problem. This cake involved whipping egg whites and crushing almonds (you have to do this with sugar or it will be lumpy — who knew?) and folding stuff into batter and making a chocolate icing out of only chocolate, rum and butter. But in the end, it was worth it. 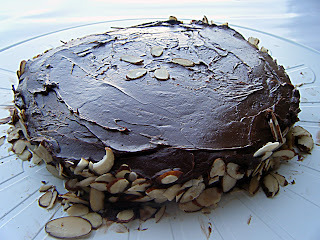 The cake was divine — it was light, not dense at all, and just plain yummy. I will make it again, for sure. And then I decided to tackle one of my eight goals. Yes, already. But once I set the goals, I wanted to try marshmallows right away. And my first revelation is that gelatin is nasty. Beyond that, though, it was simply cooking together sugar, corn syrup, water and a pinch of salt to a certain temperature and then letting my KitchenAid beat the hell out of it. Then add vanilla and let set. Out came square marshmallows! This Joy of Cooking recipe didn't elaborate on flavors you can make, but I'm thinking peppermint for later on when it gets cold and they can go in hot chocolate. Tonight, though, they're going to be used for s'mores. I'm off to the lake to relax, read "Eat Pray Love" and hang out on a boat. Not a bad way to spend a weekend. Oh, and one last glamor shot of my kitty, because I couldn't resist. Only one thing pictured in this post doesn't look edible. And I'll give you a hint... it's not the cat. Kidding! This all looks marvelous. 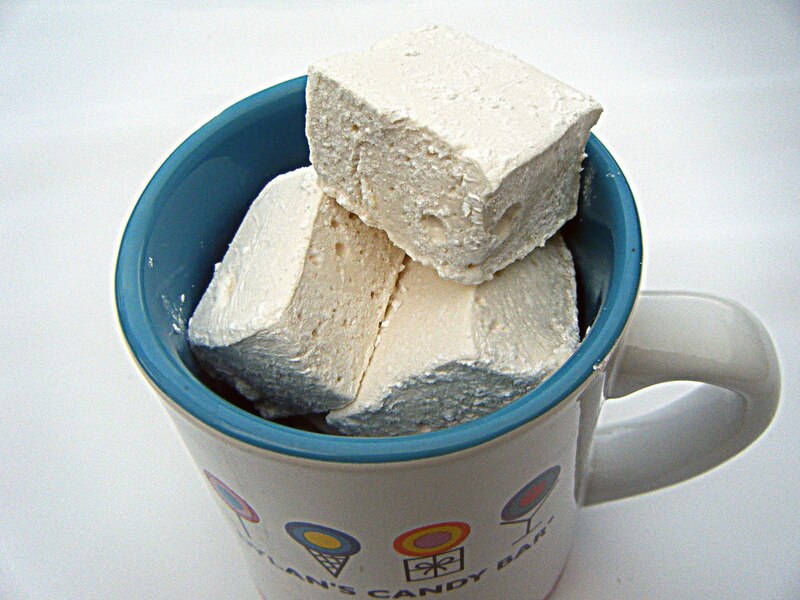 And though it seems like a simple recipe, props to you for actually making your own marshmallows. 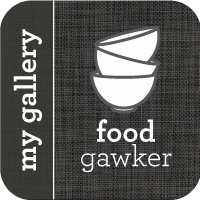 I also love that you made your own marshmallow, that looks really good.I hope you won't mind,I'd love to guide Foodista readers to this post.Just add the foodista widget to the end of this post and it's all set, Thanks! Hey! I was wondering where the recipe for the chocolate cake was?